Lulu Miller, co-host of NPR’s Invisibilia podcast, was one of three artists who presented at “The Art of Failure.” She spoke about how she overcame her fear of conducting interviews. 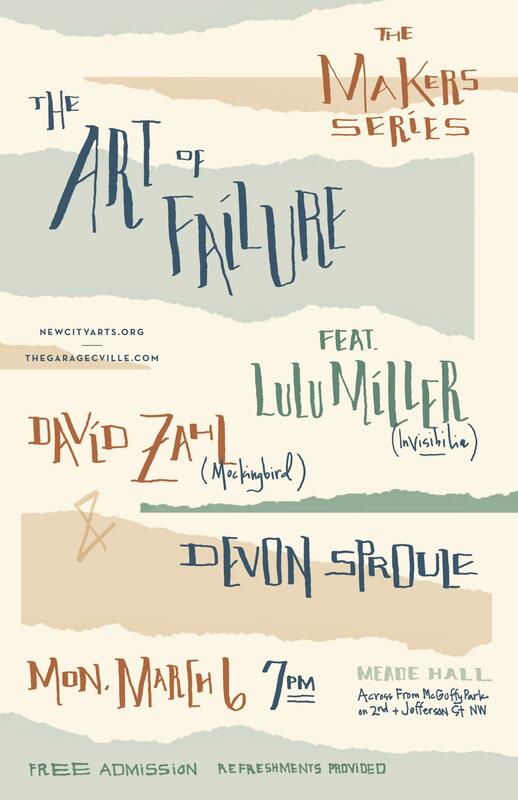 “The Art of Failure” was the subject for the latest “Makers Series” event — the 8th in 4 years. The artist-focused events are held at the Christ Episcopal Church in Charlottesville. 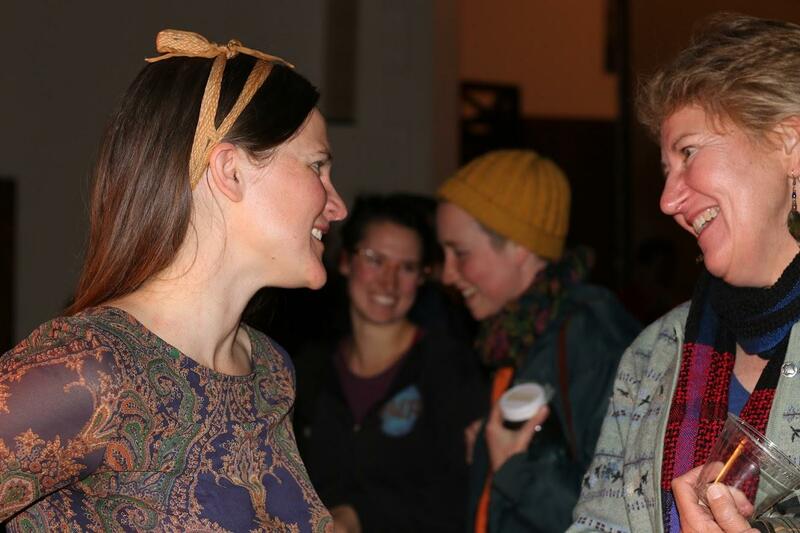 Devon Sproule chats with an attendee after the event. 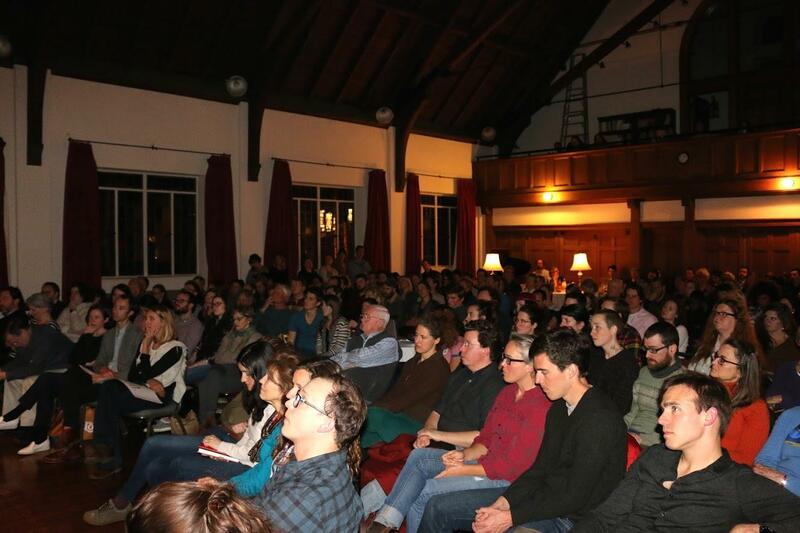 About 180 people attended “The Art of Failure” — twice as many as normally attend the “Makers Series” events. SAM BUSH: I know a lot about failure. I know a lot more than I wish I did. SAM BUSH: We get three artists to come and present on their process. It’s a chance to kind of see what goes on behind the scenes when people make things. That’s the second artist: David Zahl. He’s a preacher, writer, and Executive Director of Mockingbird Ministries. He’s also thought a lot about failure. DAVID ZAHL: People want to present it as a strategy: go out there and fail. No one wants to fail, but you can learn things through failure that you can’t learn other ways. And THAT was the night’s 3rd artist, singer-songwriter Devon Sproule. In addition to performing for the audience, Devon spoke about a failed move to Germany. According to Sam Bush, these Makers Series events generally attract around 90 people. This one — by a rough headcount — had more than twice that many. 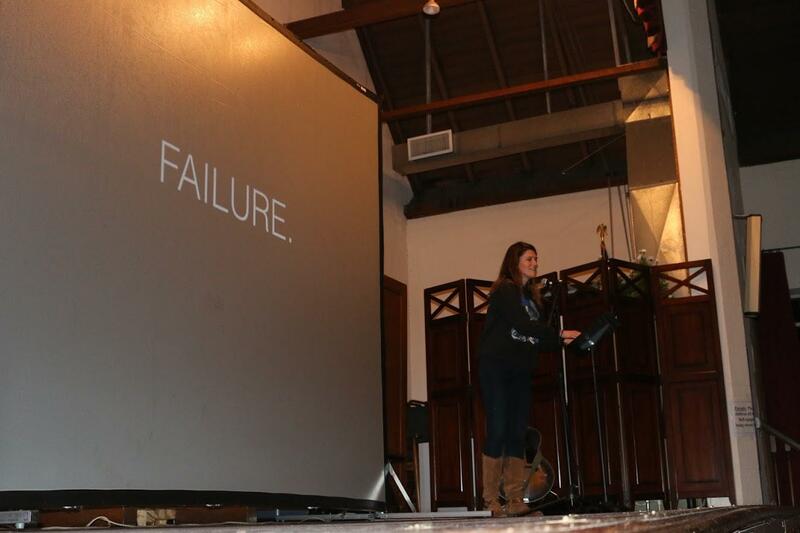 So, a talk focused on failure, was — as it turns out — a rather big success.